Veronafiere and Vinitaly have taken root in China to help Italian wine bridge the enormous gap that separates it from its main competitors in the Asian area, which today is already worth 6.4 billion euros in wine imports, and half that amount is from France alone. “Wine to Asia” has been launched with the precise goal of not only a new annual fair organized directly by Veronafiere (the first edition is in June 2020), but also a new company in Hong Kong to supervise the market. Veronafiere will be the majority shareholder, at 51%, together with an important foreign partner, “Pacco Cultural Communication”, founded by Alan Hung and one of the most important for creating events and supplying advanced digital services dedicated to the wine world in China. The project was announced at Vinitaly and will start off in Shenzhen, one of the most dynamic cities in China, with a population of 12 million in the city, 20 million including the provinces, and 100 million considering the broader surrounding area of Guangdong-Hong Kong-Macao Greater Bay Area. 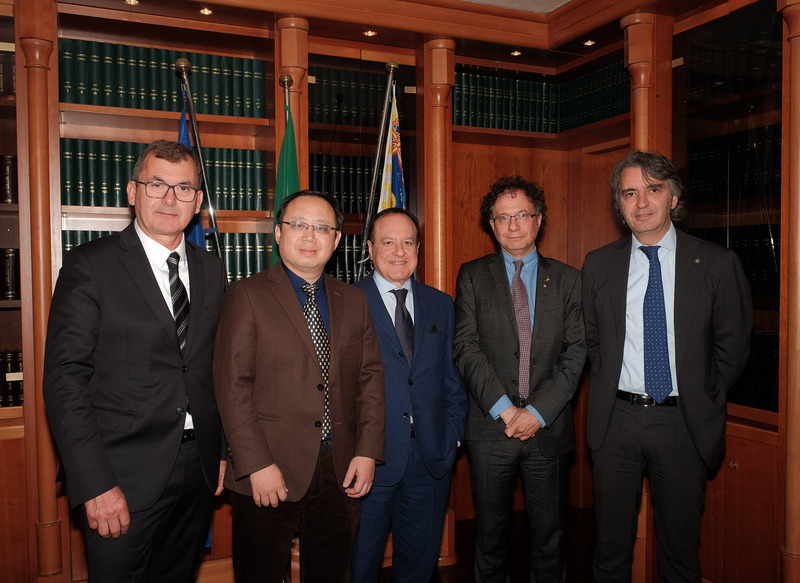 “This initiative will be fundamental for Italian wine”, said Michele Geraci, economist and Undersecretary for Economic Development during the Conte Government, “since China will soon be overtaking the US, and become the number one economy in the world. Asia imports the same value in wine as Italy exports to the world (6.2 billion euros), but Italy is still behind. The project marks a turning point, which we are happy about, and which aims to bridge the gap. It will not be just a new fair. Forty years ago, Shenzhen did not exist. It is a young city and boasts the highest growth rate in China. The average age is around 35, it is technologically advanced and it is headquarters to important technology companies, like Huawei. It is a bit like the Boston of China. The Government is highly interested in this enterprise, and because of the “La Via della Seta” (the silk road) we set up with the Chinese Government, Italy has been given a more positive “ranking”. This is a crucial moment for commercial relations between Italy and China, as it is the moment in which there is more response for Italy, which is why I know this new enterprise will be a success”. It is another piece of the Veronafiere expansion strategy abroad about which President Maurizio Danese commented, “we have invested a lot of resources in our business plan. Building a new company with Alan Hung, with whom we have been collaborating since 2014, is a great sign, and we will have the support of SACE and SIMEST as well. All of this means that it is the “Italian System” attacking an important market”. 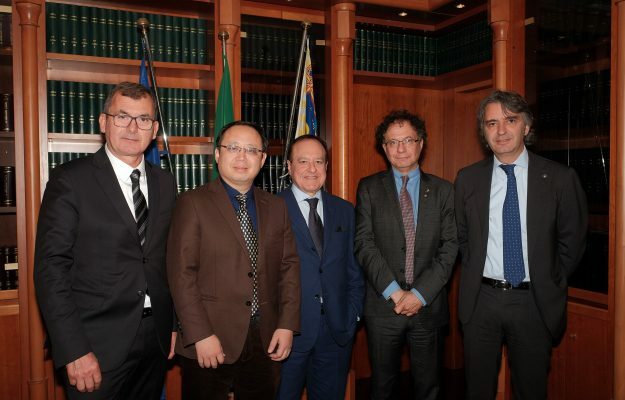 “It’s very significant news”, added Alan Hung, at the helm of Pacco Cultural Communication, “we already serve many producers and importers in China, we have been collaborating with the Vinitaly road shows for years, and we are excited to start a new path on the market that has the greatest potential for growth in the world”. It is an investment “not only in China, but also in Asia, where Italy has only 6.5% of the market, and is behind France (52%) Australia (16%) and Chile (9%), and it is not proportion to the importance of our country”, added the general manager of Veronafiere, Giovanni Mantovani. 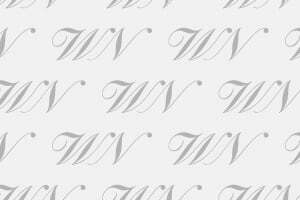 “We have launched this international project, on the strength of our know-how and our experience with Vinitaly, which put us in the position of world leadership for wine events. Following the creation of Wine South America in 2018, we will have “Wine to China” in 2020, and a new promotion structure in North America in 2022, of which we are the majority owners. We have been active in China for years, we have managed the “Out-of-Salon” in Chengdu, where we brought over 150 wineries in the last edition. Additionally, we have our Academy, and the road show that last year stopped in cities like Wuhan, Changsha and Shenzhen, as well. Pacco Cultural Communication (which should have been called “Bacchus”, but became Pacco by mistake when registering the company in China, Mantovani quipped) is the leader on the Chinese scene for organizing events, has an e-commerce platform, and also has perfect knowledge of the wine market in China, including a unique proprietary database on the top wines in China. We want this to become. Immediately, one of the great wine events on the Asian market.We will debut in June, it will be annual and B2b, and we will start with 400 exhibitors. Obviously, our focus is on Italian wine, but it will be open to wine producers from all over the world”. Thus, Veronafiere is beginning its conquest of Asia.